Our Local Search Engine Marketing Formula is Fine Tuned for Your Success. Good Local Internet Marketing is Your Name, Number and Website Multiple Times for Keywords That Count. We know you are being bombarded with calls by companies dedicated to one form of internet marketing or another – but how many do you know that encompass the best approaches and solutions to get you listed on the first page of Google with your name, number and website listed multiple times? When you eat good food you can often taste the ingredients, however recreating the dish without the recipe is often impossible. Our formula for successful local business internet marketing is not going to revealed in full nor could it be drawn out in one page, but you can see here some of its more well known components. Perfecting the formula for our client’s success has taken several years of diligent hard work, strategizing endlessly, then testing each possible solution until each component was refined. Search engines are particular, they want things done their way or they will ignore you. We make a particular effort to engineer our websites according to the nitty gritty, hyper-particular way Google wants them. Tired of the sales calls from teams of people who all claim to work with or for Google – but love their promises? 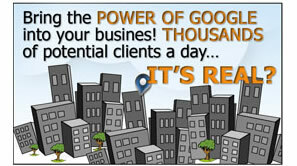 We literally can have you to the top of search engines, through their paid position auctions, in less than four hours. Map search results are very competitive and highly sought after; knowing the proximity to a business can be the most important piece of the decision making process. 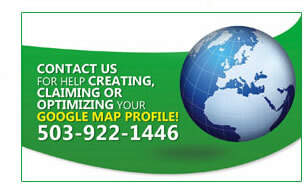 Map listings display all important phone numbers and also let others know the local vote with reviews. Online business directories were one of the first truly productive uses of the internet, and they just keep getting better and more important as the web evolves. Inbound links are 1 of 2 vital components of SEO. Here’s a secret: search engines respond to keyword-based domains and blog-engine websites lightning fast. That combination, matched with ongoing content delivery and link building to the site can be one of the fastest ways to the top.